With the temperatures expected to reach 50 degrees, the challenge to even stay hydrated will be immense. Having taken to racing in a serious way since moving to Dubai from Co Mayo three years ago, Róisín Thomas embarks on a near-500km race tomorrow morning, Wednesday. She will ride the 7emirates14 event; a gruelling 472km race through the seven emirates of the United Arab Emirates. And with the temperatures expected to reach 50 degrees, the challenge to even stay hydrated will be immense. Thomas, a physiotherapist based in Abu Dhabi made history last year when she became the first and only woman to ever complete the event. She is looking to beat her own personal best time last year of 16 hours. 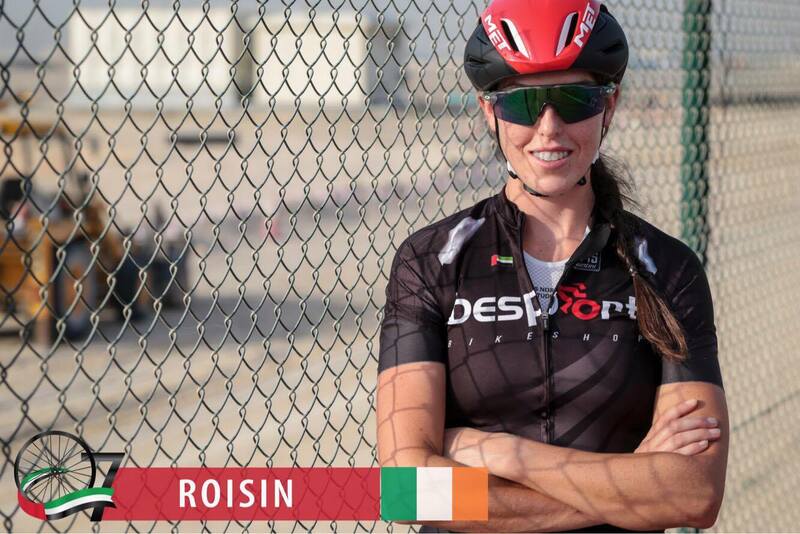 Riding for the Besport team, she has managed to attract sponsorship from Santini and MET. And earlier this year enjoyed a stint with the Astana women’s team at a two-week training camp. Tomorrow morning, at 5am local time, she sets off with four other riders – all men – in a five-rider team. She said she decided to ride the event last year to do something extraordinary and break away from her usual routine. “Nobody had done it before, certainly no women has done it before,” she said. Of the two-week training camp with Astana in February she said: “It was an experience that you could never buy. “To be able to train at a level with professional riders was incredible, going into the mountains riding 120-140km a day.